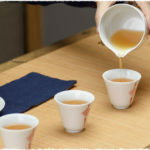 Sichuan Tea Expo, Chengdu 2012 is held on May 17 to 20 at Chengdu International Exhibition Center. Sichuan Tea Expo, Chengdu 2012 is held on May 17 to 20 at Chengdu International Exhibition Center. This expo covers an area of 30,000 square meters. It has seven different exhibition sections, including international section, Green Tea section, processed tea and tea drinks section, Pu-erh Tea section, Oolong and Yellow Tea section, Black and White Tea section, red stoneware and tea artwares section, tea machinery and tea package section. Within the hall, there are totally more than 600 companies and thousands of tea species. Over 600 tea companies from twenty domestic regions and other foreign countries participated in this expo, most of which are from Anhui, Fujian, Zhejiang, Guangdong, Hunan, Yunan, Guizhou, Sichuan and Taiwan, and from Korea, Sri Lanka and India. Over 2000 species of the six major teas are displayed in the expo, among which 70% are famous brand. On the purpose of bringing you more information of tea, TeaVivre joined the Sichuan Tea Expo, Chengdu 2012 and China Tea Expo, Shanghai 2012. And what’s more, we are lucky to witness the making of Pu-erh Tea Cake. 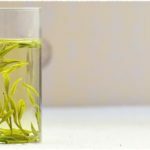 This is what we will share with our tea enthusiasts in this article. TeaVivre Manager Angel is talking with a Taiwan exhibitor of High Mountain Tea. 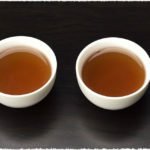 TeaVivre recorded the process of making Pu-erh Tea Cake.